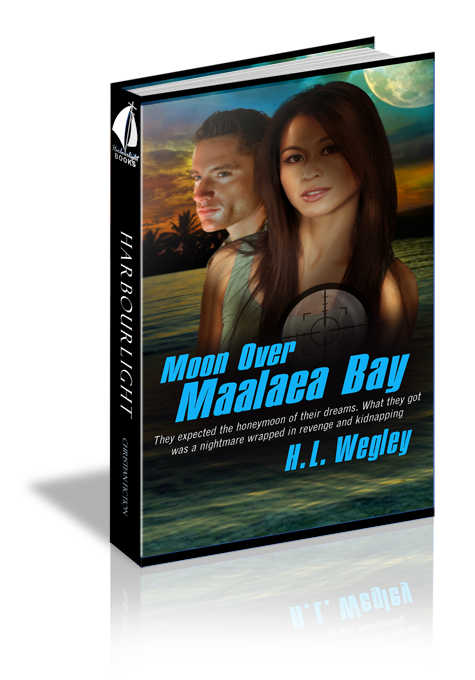 In an instant the honeymoon of Lee's dreams morphs to a nightmare when Jennifer disappears on their wedding night in Maui. An international trafficking ring Jennifer crippled weeks earlier seeks revenge by selling her into slavery. But a more sinister organization wants to buy Jennifer for other purposes. With the clock ticking toward Jennifer's impending sale, Lee, accompanied by foster daughter, Katie, and Jennifer's grandfather, begins his own search. As the search by Lee, the Maui Police, and the federal government intensifies, beautiful Katie ends up in the crosshairs of the traffickers. Can Lee save both his bride and his future daughter? What if he has to make a choice? If Jennifer is sold, could she kill herself to avoid a life filled with degradation and unspeakable horror? If she did, would God forgive her? In light of recent events, she should be dead. Jennifer Akihara should no longer exist. The thought brought a smile to her lips. Nearly nine hours ago, in another world three thousand miles away, Jennifer Akihara became Mrs. Lee Brandt. "Jennifer Brandt," she whispered. It sounded right. It was right. And the dangers that nearly prevented her from taking Lee's name were gone, either locked away in a federal prison or dead. Spending her wedding night with Lee in a tropical paradise would be the perfect start to their life as man and wife. But the perfect start had been delayed. In the fading twilight, under a purple sky, Jennifer glanced up at Lee's brilliant, blue eyes as he walked beside her in his cargo shorts and muscle shirt, lookingâ€”she hated clichÃ©s, but there was simply no other word for himâ€”hot. Tonight, on this island, extremely hot. And the warm, humid trade winds, which caressed her skin and ruffled Lee's hair, cooled nothing. Lee seemed unusually quiet. Maybe he was disappointed about their room not being ready. She moved close to him, gently brushing against his side with each step as they strolled through the menagerie of colorful Kihei shops. The fragrance of pineapple, mango, and coconut mingled with those of cloves and cinnamon near the kiosks selling soaps, candles, and lotions. She looked up at him, wondering what was on his mind. It was time to probe. "If someone hadn't broken into our room just before we arrived, right now we would beâ€”"
"We'd be watching the moon over Maalaea Bay out that big window. I know." "If someone hadn't insisted on that room, maybe we could've gotten another room, and we could beâ€”"
"I know, sweetheart. But when you see the sunset from our room tomorrow evening, you'll understand. That room is special. We can eat dinner here at the shops, and by 7:30 our room door will be fixed and the electronics that were stolen will all be replaced, just like the manager promised. And...we get a free night for our inconvenience." "Inconvenience? That's hardly the word for what I feel." She met his gaze with love and longing in her eyes. Thoughts of being alone with him filled her mind. She touched her face. Like Lee, it was hot. He smiled at her. "You should see your cheeks, Jenn." Her hand jerked back to her face. "Didn't you overdo the blush a little?" He looked down at her and grinned. His grin told her he was back from wherever his mind had wondered, and he knew exactly what she was thinking. Lee was an expert at reading her mind, and he loved to tease her, especially when the teasing turned her permanently tan cheeks a rosy red. "In this climate a woman doesn't need makeup toâ€”" Her cell phone filled the tropical night with the spirited sounds of "The Texas Aggie War Hymn." "Lee!" She stared into his laughing eyes, vacillating between jabbing him in the ribs and kissing his smiling lips. "I can't believe you talked me into loading that ring tone on my phone." "Too bad I only get to hear it when the caller ID's blocked. Bet it's Peterson. Calls from his FBI phone are always blocked. Aren't you going to answer it?" "Only this call. Then I'm turning this insidious little device, with your alma mater's fight song on it, off." She stopped, flipped her cell open, and raised it to her ear. "This is Jennifer Akiâ€”I mean Jennifer Brandt...No, we're fine. Don't concern yourself, and please stop calling." Her voice rose, but the heat of her anger quickly dropped in temperature to an icy chill. "What was that about? We're on our honeymoon. It's our wedding night. Peterson wouldn't actuallyâ€”"
"It wasn't Peterson." She shivered. The warm, Maui evening had grown cold. The trade winds became an arctic blast. She put her arms around Lee and pressed her cheek into his chest. The two phone calls and the incident with the room were upsetting. "It was the same man who called while we were at SeaTac. Still asking questions. Still claiming to be Peterson's assistant, butâ€”"
"But Peterson hasn't had an assistant since Bastian washed out of the bureau." He studied her face, and his winning smile returned. "Don't let it upset you, sweetheart. You're still a celebrity in Seattle, especially after rescuing Katie and the other girls from the traffickers. The media can't get enough of you. They're probably trying to spy on you during our honeymoon. You've got paparazzi problems." He scanned her slowly, systematically. "I can't say that I blame them, especially when you hit the beach in your swimsuit tomorrow." He slipped his arms around her. "We'll keep a low profile on the island. I won't let them bother us." After hearing his voice, his reassuring words, and now feeling his arms around her, Jennifer's chill warmed to a more comfortable temperature. "You're probably right." She pressed the power button on her cell. It played its farewell tune as she dropped it into her shorts pocket. "Well, they can't call anymore." She sighed and clasped her hands behind Lee's neck, letting the love in his eyes pull her to a place she wanted to remain forever. "Now where were we?" She didn't resist. There was no reason to resist. Not now. Not ever again. As she had vowed a few hours ago, from this day forward she was his completely. When their lips met, the night grew warm again. But Lee's kiss was several degrees hotter than warm, promising much, much more. "Where we were, was on our way to dinner. Then back to our room." She cupped his cheek with her hand. "I've got a proposition for you, Mr. Brandt. Our room is almost ready, so let's skip dinner, get a couple of iced lattes, and drink them on the way back to our room. We only stood on the balcony for a few minutes, but I know that right now, waves are splashing just underneath the bedroom window. Look." She pointed into the western sky. "The moon's nearly full over Maalaea Bay. It'll be shining in through the big window andâ€”"
He pressed a finger against her lips. "Shhh. It's a deal. You can be very persuasive when you want to be. Maybe you should've gone to law school instead of taking the research position with NSA." He gave her his coy smile. "Then again, making a proposal like that in a courtroom could get you disbarred." She sought a witty reply, but her eyes caught a familiar image shining golden yellow inside the glass counter behind Lee. "Look. Gold whales tails. I lost mine the night of my master's ceremony." She refocused her gaze on Lee's eyes. "You could really ingratiate yourself with your bride by replacing it for her on her wedding night." He rested his strong hands on her bare shoulders. At his touch, the night grew even warmer. She stepped closer, pressing her cheek into his chest and listening to the rhythm of his heartbeat, her soul's favorite music. "How grateful would Mrs. Brandt be?" He kissed her forehead. She looked up and met his gaze. "More grateful than she's ever been. But first you need to walk to the espresso stand by the street and buy her an iced latte while she picks out a necklace." "OK. Find your necklace." Lee's index finger traced a circle around her neck, then traced a path up to her chin, continuing until it touched the tip of her nose. "I'll be right back with our coffee." He strode away towards the espresso stand. Jennifer's gaze returned to the jewelry counter where she searched for a whale-tail necklace like the one she had lost more than a year ago. Her search was soon forgotten when she became lost in anticipation of their time alone together and warm thoughts of her love for the man who had saved her life so many times in so many waysâ€”the man who had introduced her to the one true God Who had saved her soul for eternity.